Manchester United forward Marcus Rashford is only 20 but his star is on the rise. 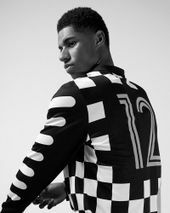 While his main focus is on helping his club win trophies and representing England at the upcoming World Cup in Russia, Rashford, like any young soccer player, has an affinity for fashion. 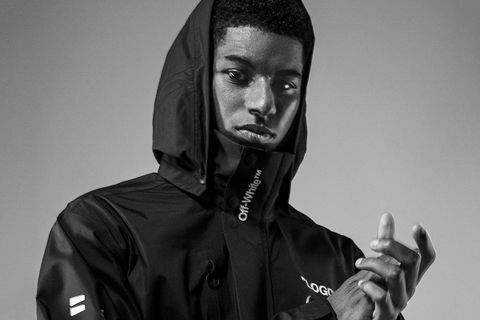 With Virgil Abloh arguably the hottest designer in the world right now, it makes sense that Rashford is a fan of Abloh’s OFF–WHITE label. 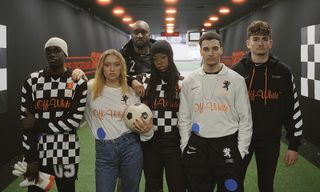 Add to that the fact that both work with Nike, and it’s a no-brainer that the England striker would be modeling the Nike x OFF-WHITE World Cup capsule. 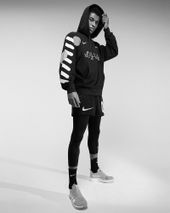 Ahead of the launch — and with one eye on the World Cup — Rashford took time out to answer a few questions for Highsnobiety, focusing on the Nike x OFF-WHITE collection, his personal style, and how it has developed over time. 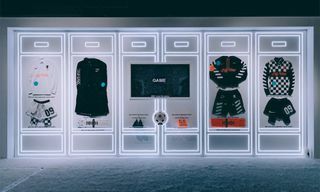 What do you think of the new Nike x OFF-WHITE collection? 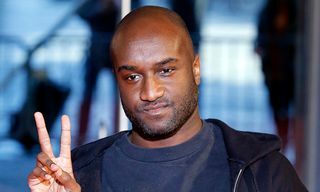 I like Virgil Abloh’s ideas when it comes to fashion because he has found a way to differentiate himself from other high-end fashion and streetwear brands. 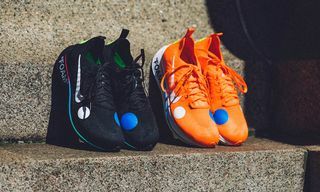 He’s bridged the gap between designer and streetwear, so it’s now easier to look good and be comfortable. 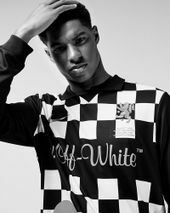 I think the long-sleeved vintage football shirt is a good piece because football shirts have become more popular recently. But with the collar, long sleeves, and pattern, this one is unique. It looks different to his usual stuff, too. I like it. I’m also interested to see how people style the “LOGO” jacket, as it’s a statement piece. I would say my day-to-day style is simple yet stylish. I take pride in my appearance and I feel like how I dress determines how people perceive me, so I make sure I look presentable. I do have a few bolder pieces in the wardrobe, but they’re more for occasions when I’m looking to make a statement. I think style is a personal choice. You tailor it to represent your personality. I think it’s important to express your style, as it gives you individuality, especially in our generation, where people take pride in their appearance and photos last forever! When did you start becoming interested in clothing? I’ve had an interest for as long as I can remember. It has altered over the years, but I’ve always taken pride in what I wear. 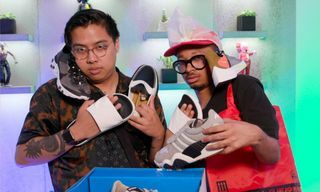 When I was young, it was mostly Nike I felt comfortable in, but as I’ve grown up, I’ve taken more of an interest in designers and high-end fashion. How important was style growing up in Manchester? This has always been very important to me. Everyone looks at what everyone else is wearing, so I had to make sure I was looking good with what I had. On the pitch, people always looked at what boots you wore and off the pitch. People wanted the latest trends, so it has a big effect on your reputation. 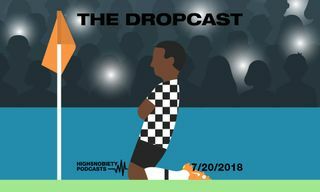 Is it important to look good on the pitch as well as off it? If so, why? I do a few things in the lead-up to a game. I like to have a fresh haircut, as I’m representing my team and my country. But once I’m on the pitch, I’m only thinking of the game — nothing else is going through my head. 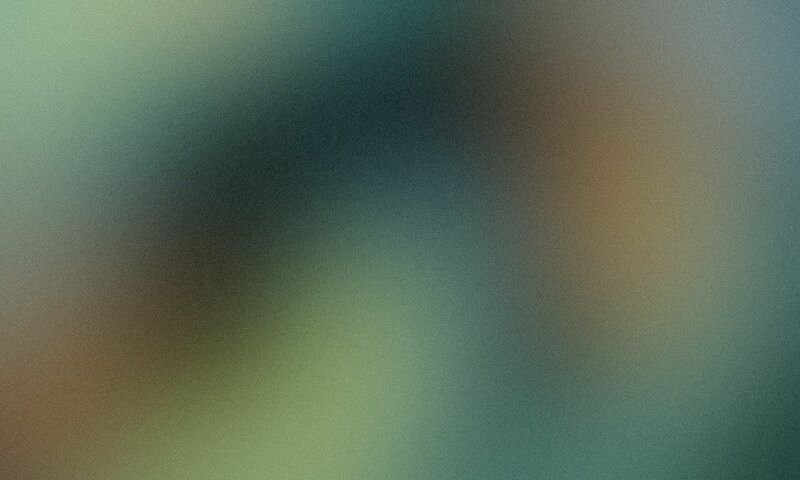 Next, read about what it’s like earning a fortune as a pro gamer here.